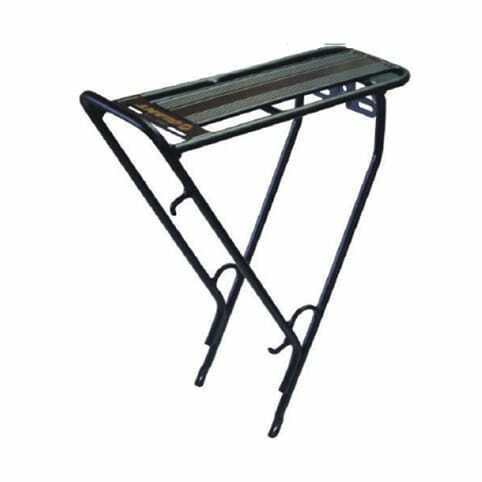 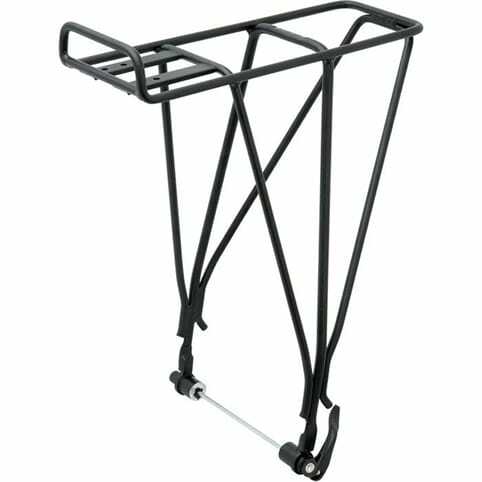 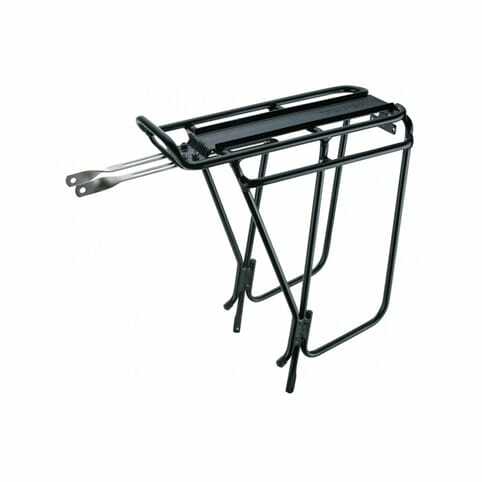 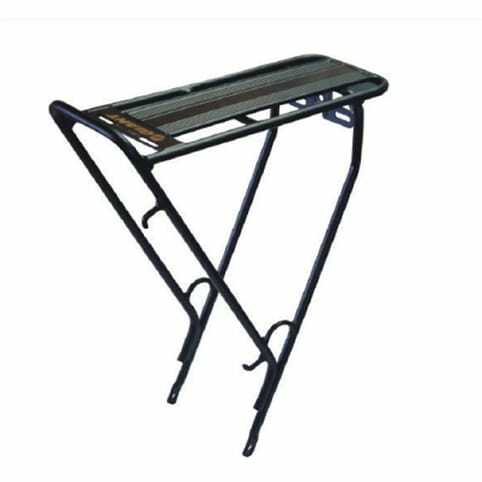 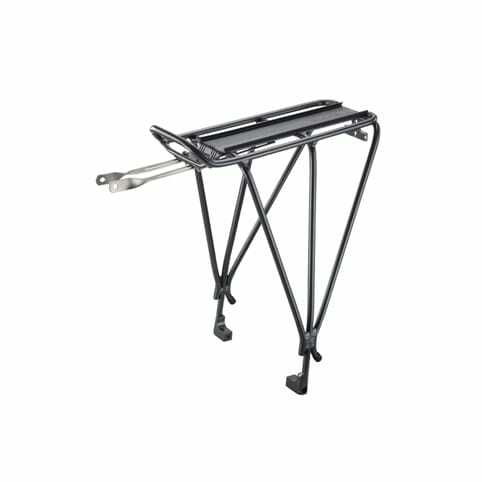 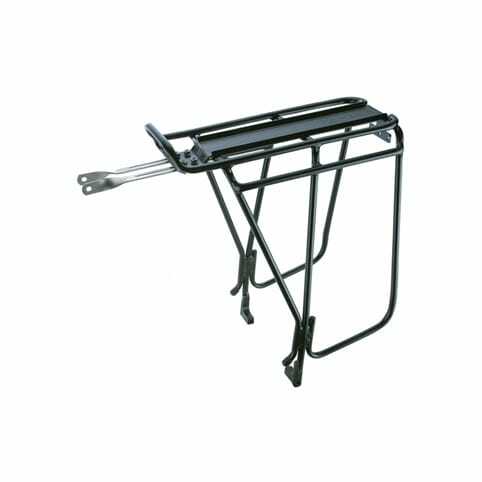 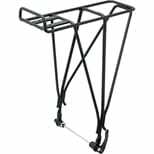 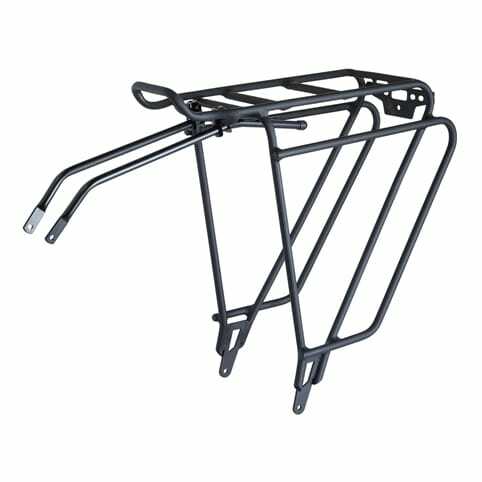 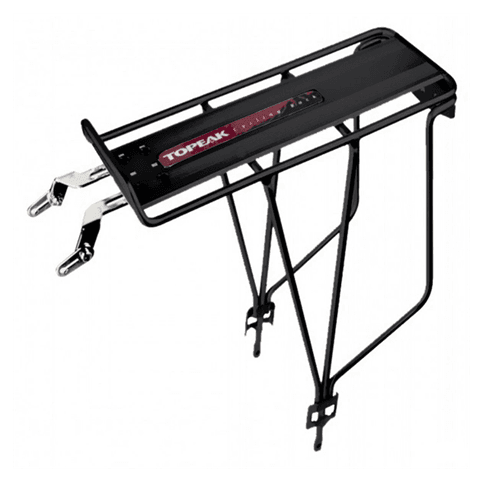 Blackburn EX 1 Disc Compatible Rear Pannier Rack with new mounting system that works with disc brake frames and bikes lacking rear dropout rack mounts. 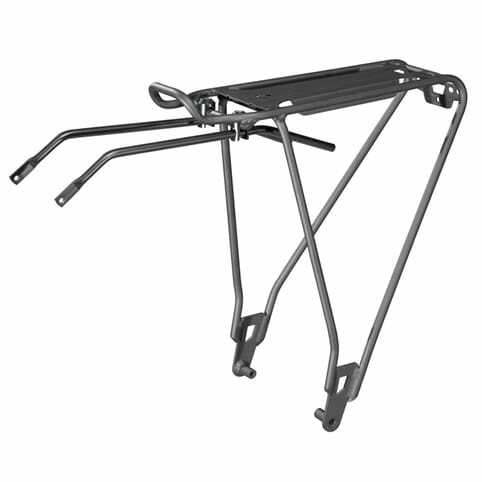 A three strut design maximises load control. 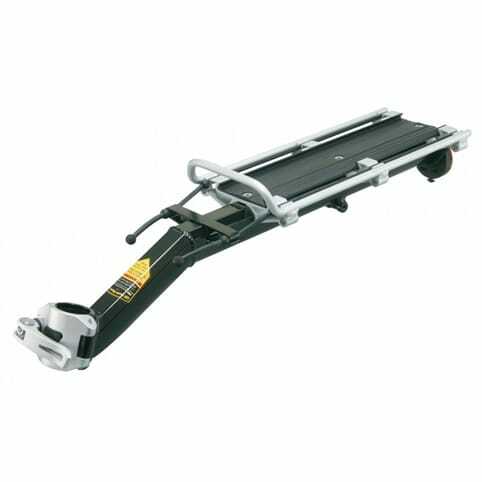 Fits both wide and narrow tyres. Fits 26" and 700c frames. 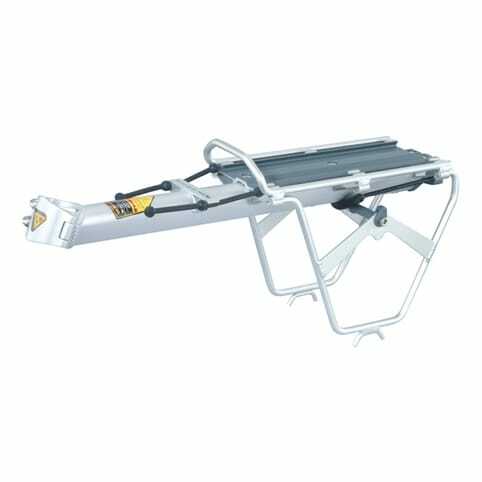 Compatible with Co-pilot child seats.